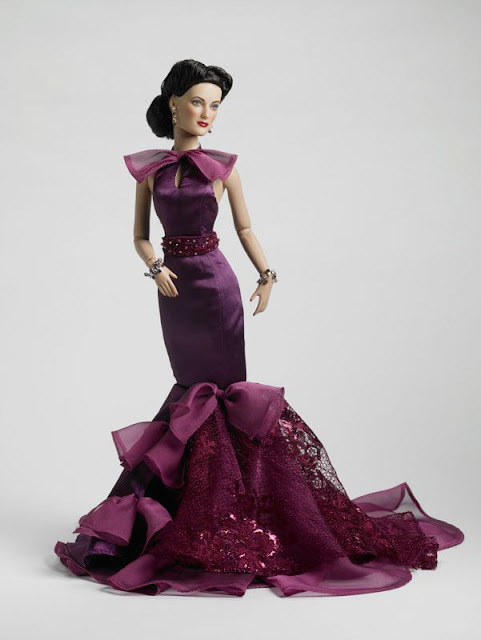 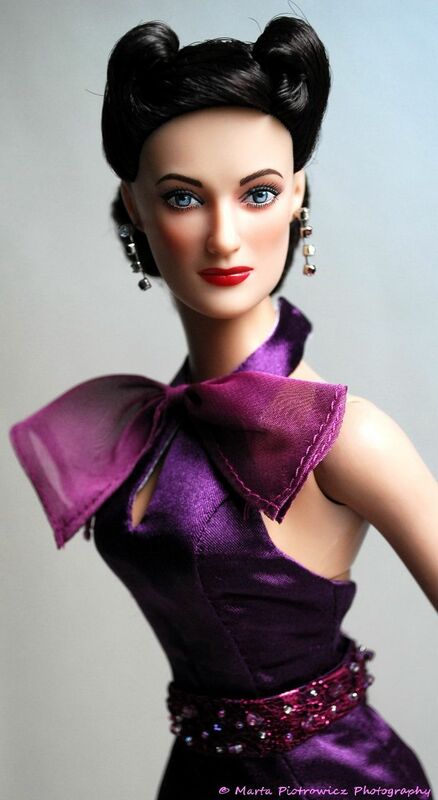 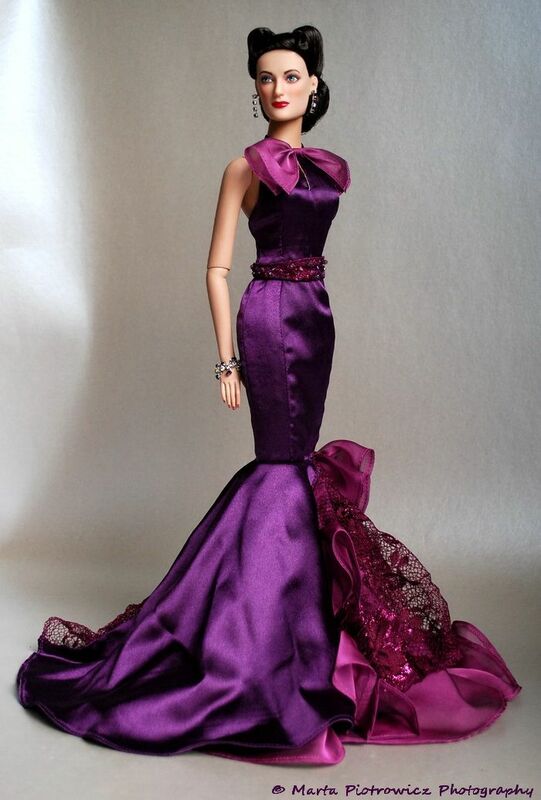 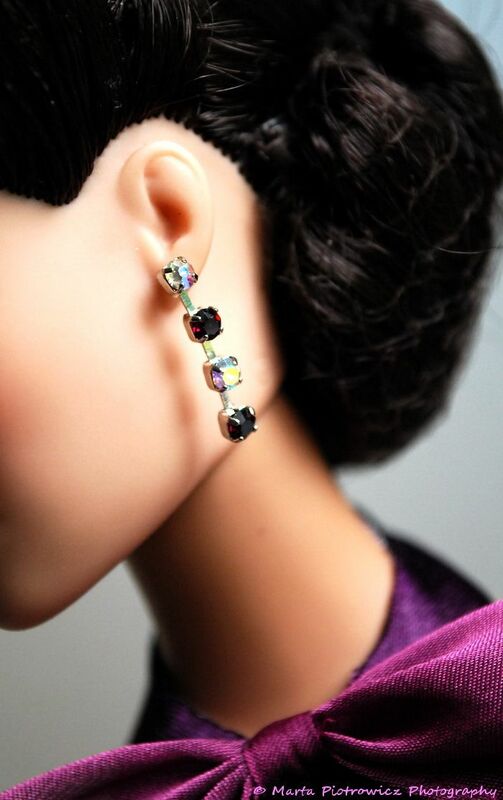 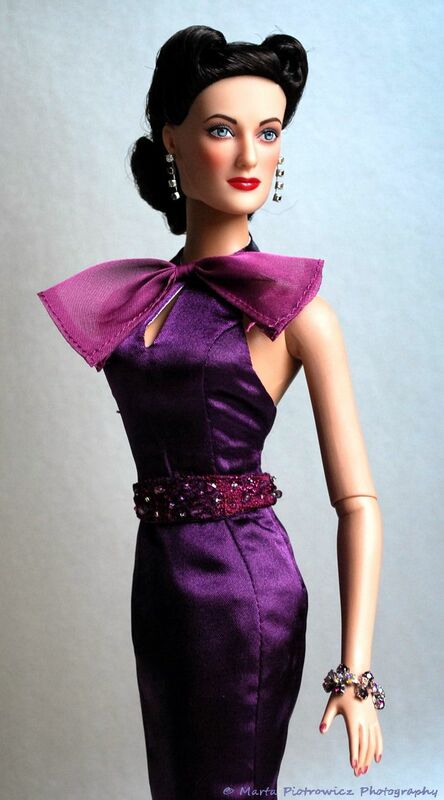 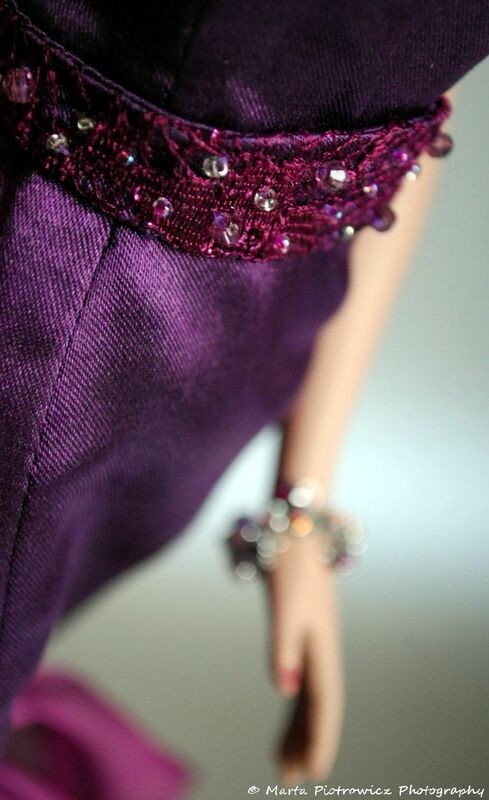 I love the fashions and accessories of all Hollywood Legends Collections (Ava Gardner, Bette Davies and Joan Crawford) as for the dolls and their sculpts (although very bold and feminine) they are way too real-looking for my taste, lol! 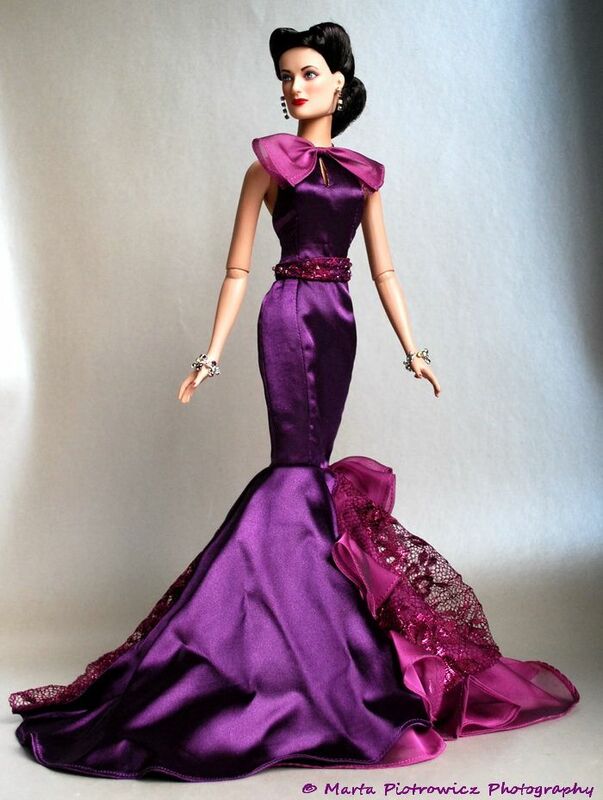 I absolutely prefer the imaginary sculpts like Sydney, Ashley and other girls, but this is only my private opinion. 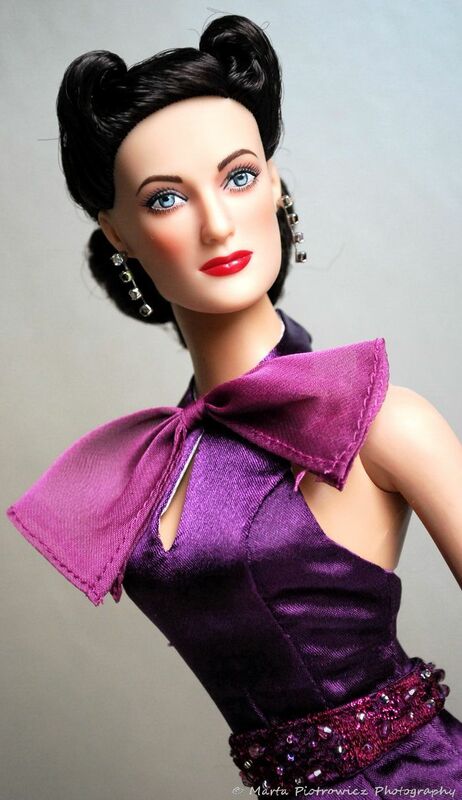 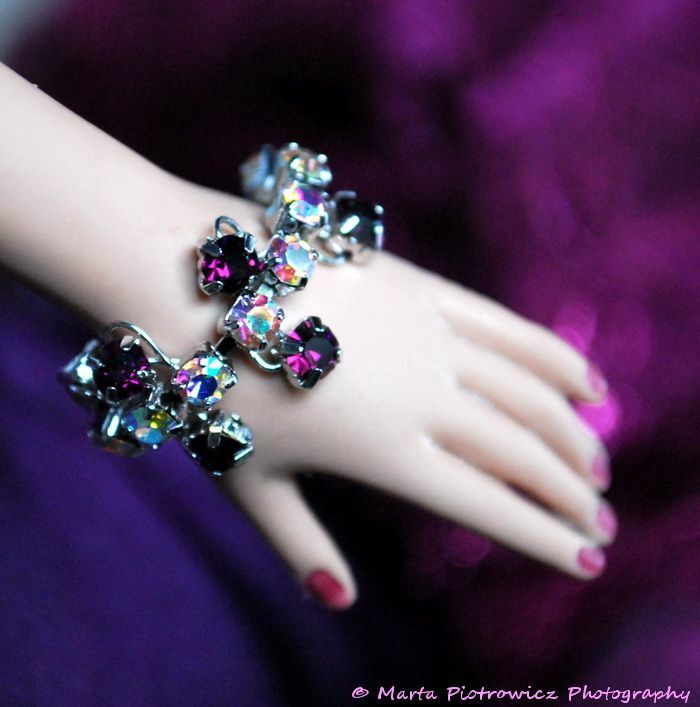 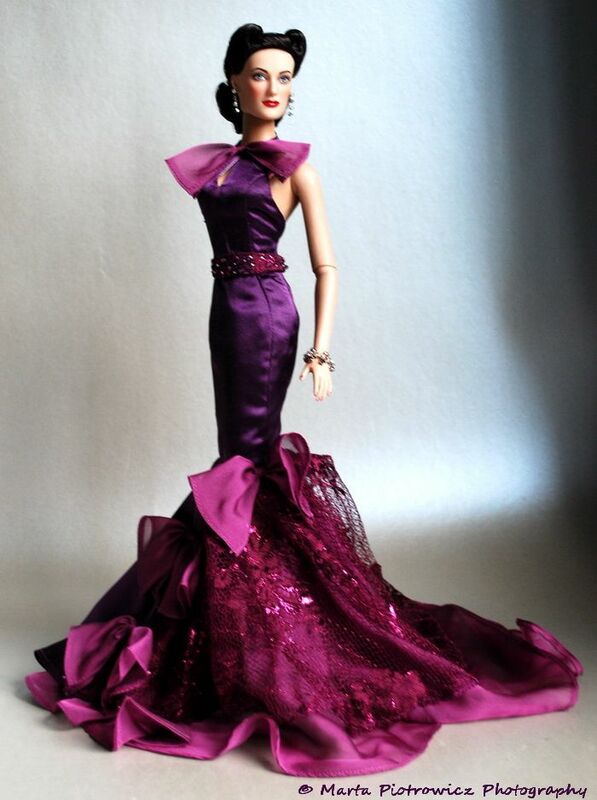 Joan Crawford Woman of Passion was issued this year and is limited to only 150 pieces worldwide. 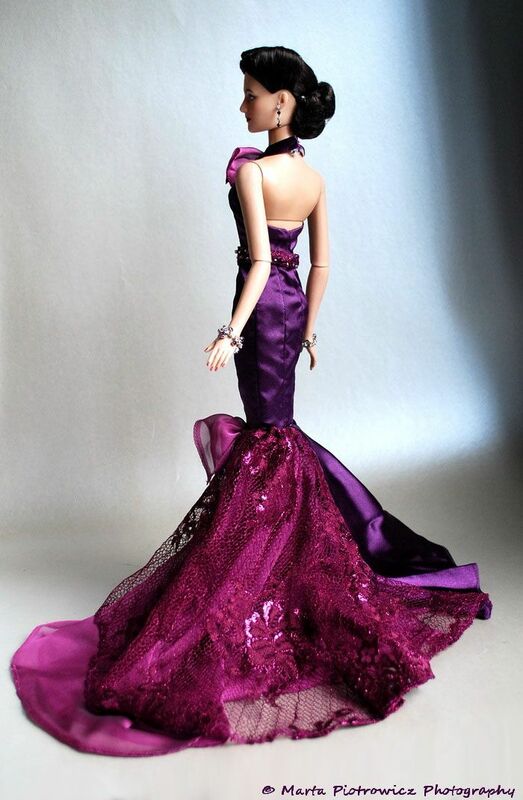 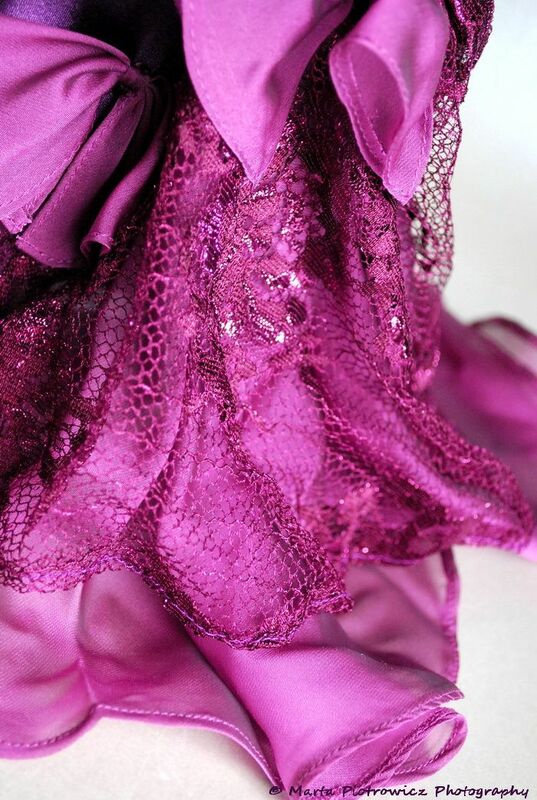 She is wearing fabulous plum satin form fitting evening gown with multi-layered frothy train in monohromatic laces, ribbons and satin.